Senator Richard Blumenthal wants Sony to pay for the financial security and free credit reporting costs of all customers whose credit card info might be at risk. Today, Sony revealed that the credit card number is associated with your PlayStation Network account may have been stolen as part of the general outage the system is suffering due to an external attack. In response, Senator Blumenthal of Connecticut (Go Huskies!) wrote a stern letter to the President of Sony Computer Entertainment of America stating that SCEA knew about the breach as early as April 20th. Sony's failure to promptly disclose the theft is a serious fault by the company, and Blumenthal thinks it should now offer insurance for any financial impact of the breach, as well as pay the costs of credit reporting and financial security services for every customer whose vital information was leaked. "When a data breach occurs, it is essential that customers be immediately notified about whether and to what extent their personal and financial information has been compromised," Blumenthal wrote. "I am concerned that PlayStation Network users' personal and financial information may have been inappropriately accessed by a third party." On top of that, Blumenthal is pissed that we didn't find out about it until today. "Compounding this concern is the troubling lack of notification from Sony about the nature of the data breach. Although the breach occurred nearly a week ago, Sony has not notified customers of the intrusion, or provided information that is vital to allowing individuals to protect themselves from identity theft, such as informing users whether their personal or financial information may have been compromised." Withholding that kind of information deserves some recompense, Blumenthal believes. 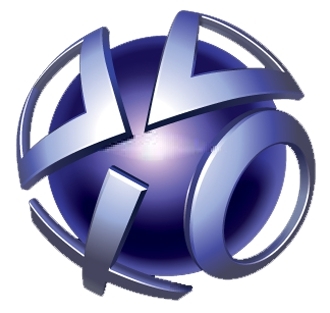 "PlayStation Network users should be provided with financial data security services, including free access to credit reporting services, for two years, the costs of which should be borne by Sony," he wrote. "Affected individuals should also be provided with sufficient insurance to protect them from the possible financial consequences of identity theft." While I'm certainly glad that Sen. Blumenthal feels for the good people who may suffer from the PlayStation Network breach, I'm pretty sure that most of this controversy will blow over without hackers suddenly buying tons of pr0n with your credit card. Sony should do something to make up for its gaffe, that's for sure, but the harsh language of the United States Senator feels a little overblown. Where was vehemence like this after the banking crisis of 2008? I mean, this is just pennies compared to the trillions of dollars wasted to save banks like Bear Stearns, Bank of America and AIG. I know it's apples to oranges, but I kind of wish we could all take a deep breath and realize that the PSN kerfuffle is not the end of the world.